Seattle Sonics and OKC Thunder inspired colorways of the Kamikaze II will be available as a Foot Locker exclusive. Also on the way from Reebok Classics are two all new colorways for the Kamikaze II labeled the "Then and Now" pack. 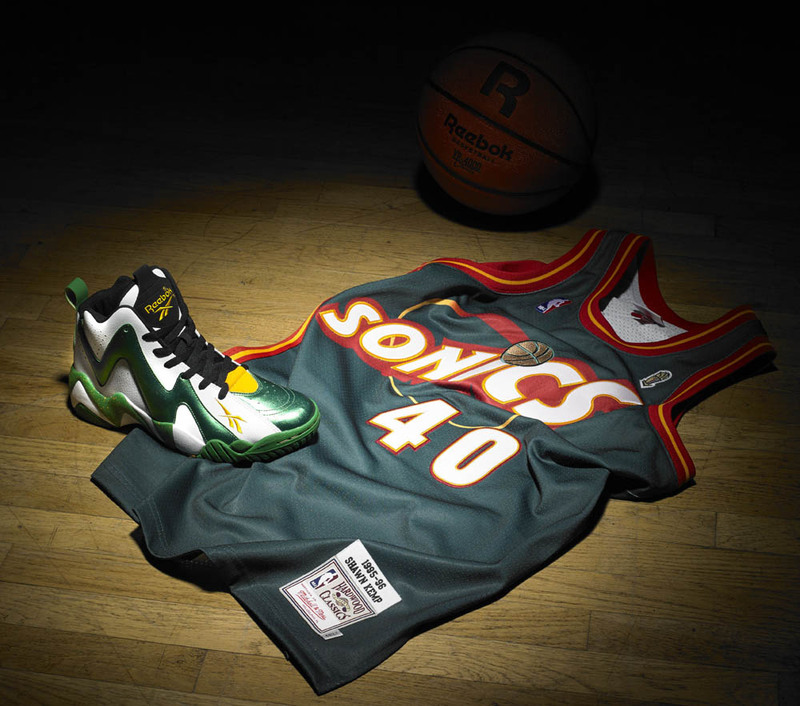 The pack features a "Then" colorway inspired by Shawn Kemp's Seattle Supersonics, along with a "Now" colorway inspired by the Oklahoma City Thunder. The Seattle look features a white base with accents in metallic green, yellow and black, while the OKC version gets a multi-colored black/blue/orange Thunder-inspired color scheme. The "Then and Now" pack will be available as a Foot Locker exclusive on February 15th at a retail price of $100.